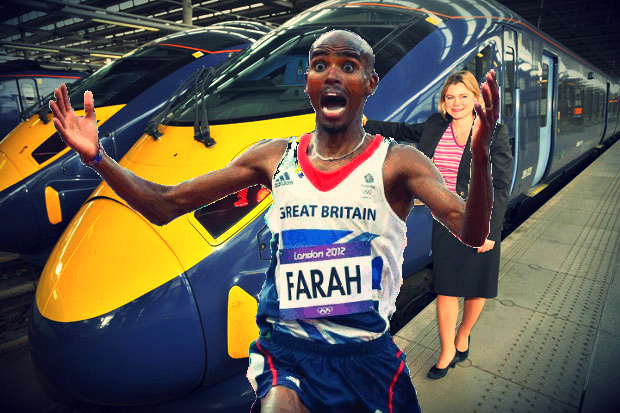 WHAT’S not to like about the viral Tumblr site ‘Mo Farah running away from things’? 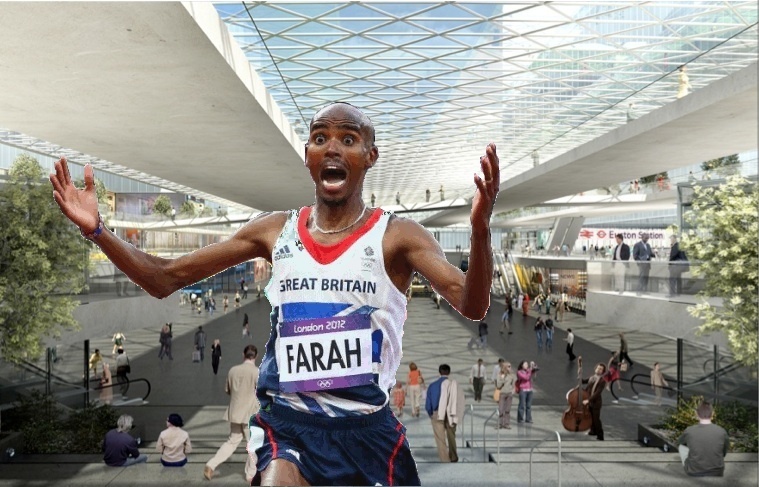 I don’t claim to be a photoshop expert but if we were gluing the star of the Olympics into a Camden context… what would people have Mo Farah running away from? Here’s High Speed Mo. I had to look twice at this pictue, I thought it was Cllr Blackwell having a hissy fit, once he realized how much the HS2 legal batte will cost the Camden taxpayer ! I don’t recall the people of this borough having an option as to whether or not the public purse strings should fund such a legal battle to stop HS2 entering Euston. Although, having said that the costings of the new Town Hall are somewhat questionable too! … even more dubious are the ‘management costs’ ! Looks like Mo’s legging it from a full council meeting, or else he’s seen the details of next year’s council rent hike ahead of the rest of us! Go Mo, go, go, go!!!!!!! Or else Mo’s had a brush – and he does look a bit shell shocked – with Camden’s housing repairs service! Run like the wind Mo, run like the wind, or else it could all end in tears!